You depend on your heating and air conditioning systems to keep you comfortable throughout the year. It’s only natural that when something goes wrong, you’ll need it fixed as soon as possible. But how can you know whether you’re dealing with a simple DIY repair or a more serious maintenance problem? The heating and air conditioning repair experts at Montgomery Heating & Aire in Mountain Home, AR, have your answers. If your heating or air conditioning doesn’t seem to be working properly, there are a few things you can do to potentially resolve the problem on your own. First, make sure the circuit breaker is on and that the thermostat is calibrated properly. In some situations, resetting the thermostat is enough to get things working again. If your unit still doesn’t seem to be blowing air as it should, you may want to check the air filter. 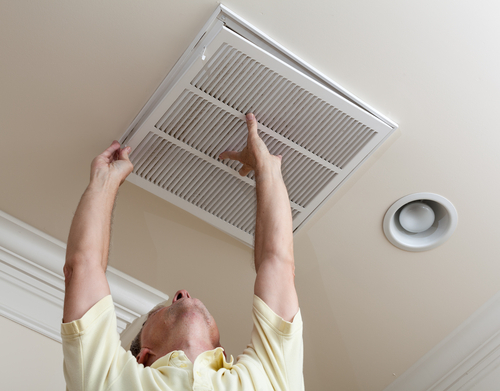 A dirty air filter can easily lower your unit’s efficiency and drive up your energy bills. If none of the previously mentioned solutions seem to do much good, you’ll most likely need to call a heating and air conditioning repair professional, especially if your unit won’t start at all. Fixing the system will likely require specialized knowledge and equipment you don’t have. Any unusual smells or sounds during operation — especially from an oil-powered furnace — are also worth a call to an HVAC professional. Tinkering around on your own can be dangerous or cause further damage to your system. Calling a professional will ensure you get the fast, efficient repairs you need. 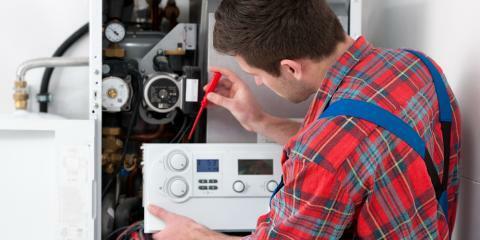 When you’re having trouble with your furnace or air conditioner, it helps to have a quality team on your side. With over 15 years in business, the team at Montgomery Heating & Aire is well equipped to meet your needs, whether you need heating and air conditioning repair or a new HVAC installation. To learn more about how they can help you, visit them online or call (870) 435-1501.